Glutathione is one of the most important nutrients in the human body because of its capacity for binding to and capturing toxins such as free radicals, mercury and other poisons and metals that the body cannot otherwise deal with readily. Synthesized in the liver to assist digestive and waste processes and aid with bodily detoxification, glutathione is present in most plant, animal and fungal life on the planet, as well as certain bacteria. Glutathione plays a key role in building and repairing strong tissues such as muscle and flexible blood vessels, synthesizing crucial proteins and chemicals and keeping the immune system working at peak function. How do we get glutathione? Since glutathione is present in most plants and animals to some degree, we all obtain some of this nutrient from our food as well as from internal synthesis. However, cooking or heating food tends to reduce or eliminate the amounts present, which are generally small to begin with unless one eats organ meats on a regular basis, particularly liver. Why do I care about glutathione? As the human body ages, it is less able to repair itself efficiently. This is why a little scrape that would heal cleanly within a week and you wouldn't even remember it at age 8 could take a month to heal and become a lifelong scar at age 40. In addition, we are constantly exposed to a barrage of toxins from the food we eat, the air we breathe and even as a simple side effect of our environment. For example, while you're sitting at your computer reading this, you are being exposed to a small amount of radiation because virtually everything that generates an electromagnetic field emits a certain amount of electromagnetic radiation. This in turn causes your cells to age and break down more rapidly while being less able to effectively repair themselves, a phenomenon sometimes referred to as the "copy of a copy" problem. While the first copy of anything may be nearly perfect, imagine taking a perfect picture and then making a copy of it. Now make a copy of the copy. Repeat this ten times. By the tenth-generation copy, you may be hard-pressed to make out the original picture at all. Glutathione helps trap toxins in the body and eliminate them safely before they can cause irreparable cellular damage, which is what makes it so crucial for a healthy immune system. Poor lifestyle choices are the number-one culprit for glutathione deficiency in the human body. Risk factors such as smoking, consuming alcoholic beverages in excessive quantities, lack of exercise and stress can all interfere with glutathione production in the human body. Poor diet with a high intake of processed foods is another big factor. With a more sedentary, unhealthy lifestyle comes with a build up of toxins in the body. This depletes the amount of available glutathione to eliminate these toxins, which in turn causes more strain on the liver, which has to work harder to break them down for effective removal from the body. What's the best source of glutathione? If you're trying to get your glutathione through diet, foods with a high sulfur content such as onions, garlic and eggs are good sources. However, many people have difficulty digesting these sorts of foods. In addition, cooking them breaks down the available glutathione they contain. Therefore, many people turn to supplements. The problem with supplements is simple: the body cannot assimilate glutathione efficiently in its pure form through digestion, which is why up until recently sulfur-rich foods and organ meats were really the only practical way to obtain glutathione through diet. Other compounds and chemicals have to be present to help the body bind and process glutathione to get it where it will do the most good. These ingredients also help boost the efficacy of glutathione, making it more readily available to the body and increasing its effectiveness. After years of research, Max International resolved this dichotomy between the need for glutathione in the body and the problems of delivering it properly to the body. By introducing stabilizing and binding elements to speed absorption while increasing glutathione effectiveness, you can get the building blocks the body needs to produce glutathione naturally, safely and effectively. Whether you want to stave off the aging process, help you body heal more rapidly or simply feel better and healthier, glutathione is a great starting point. 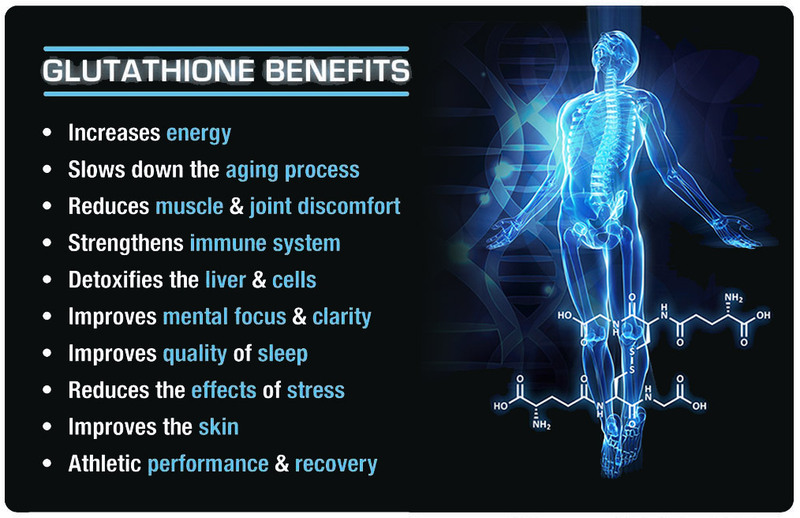 By eliminating the toxins that make our bodies work harder to get less results, glutathione helps every part of our bodies from better breathing to faster healing after injury and increased overall health. As the active ingredient in Max International's Cellgevity, you can be sure you're getting an excellent source of this important antioxidant. For more information on Cellgevity, click here!